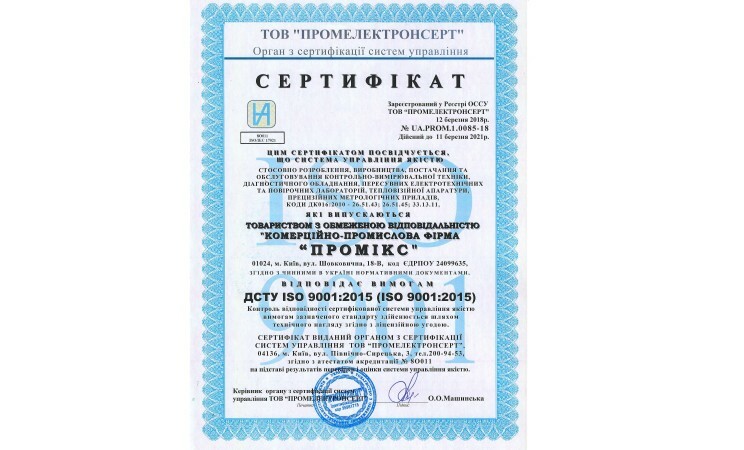 In 2018, PROMIX Ltd. successfully switched to a new system of quality management ISO 9001:2015. 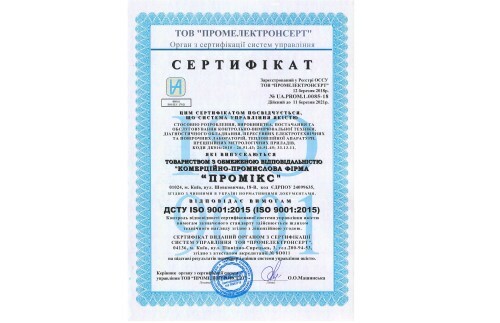 The certificate confirms that the quality management system concerning development, production, delivery and service of control and measuring equipment, the diagnostic equipment, mobile electrotechnical and checking laboratories, the thermal imaging equipment, precision metrological devices let out by the enterprise conforms to requirements of DSTU ISO 9001:2015. We develop and supply products that meet their parameters to a high art. Achieving high-quality products, we provide prompt warranty service of the supplied equipment. © 2019 "PROMIX". All Rights Reserved.